The Account Type field is a select menu (also known as a drop down) that automatically has each of your club’s account types populated as choices. When you are creating a form where you want the party filling it out to select an account type you can use this field and simply remove any options you do not want displayed on the front end. NOTE: Although the account type is displayed by name on the front end and in the list of entries and entry details, it actually stores the account type ID number in the database. 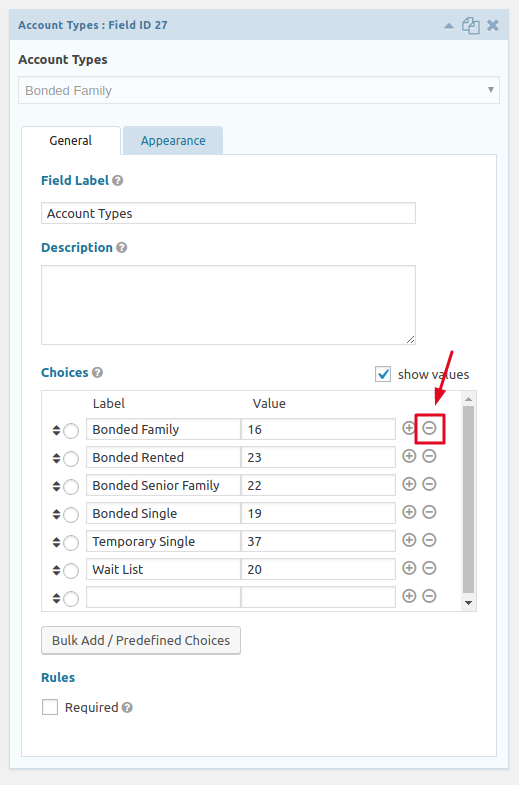 You can see the ID numbers when viewing the field choices in the form editor. Those should not be changed. 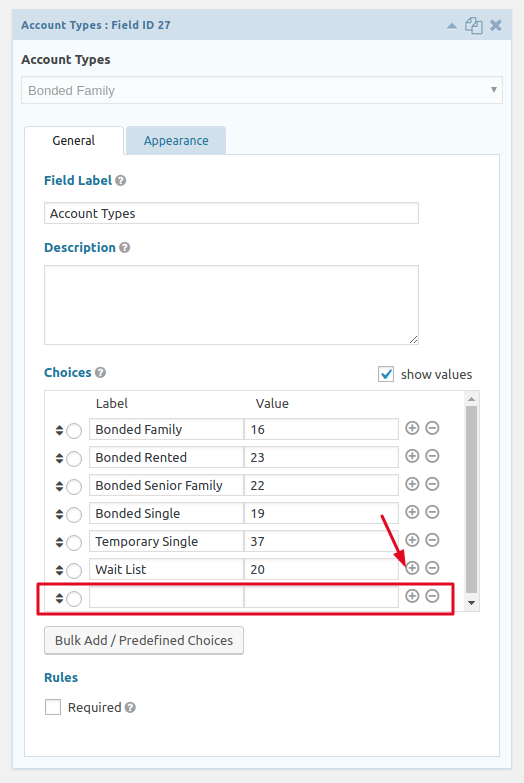 When you add an Account Types field the Choices will list all of your account types with the label set to the account name and the value set to the account type ID. To remove account types that you do not wish to have visible on the form simply hit the minus icon to the right of the account type name. If you accidentally delete an account type from the choices list there are two ways to restore it. If this is a new field, meaning one that hasn’t been in use on a live form that has already collected entries, you can simply delete it and then add a new Account Types field. If the field has been in use and there are entries then deleting the field will delete the field values from those entries! In that case you would want to add a new choice and manually enter the account type name and ID.